Lou Serna didn’t realize in 2000 that when he told his family he’d be gone for a year, he should have said three. The then senior at St. Edward’s University figured a year of being an associate in the Holy Cross Associates Program (closed in 2007) in Colorado Springs would be a good experience, not knowing that he’d stay for two more years through a fellowship and leave with a Masters from DePaul University. His parents probably wouldn’t have believed it either—let alone that their last son would also be the first of their children to move so far from their home in San Antonio, Texas. And though it was a great moment of change, Serna looks back on a lifelong volunteer journey that is still leading him to exciting places today. Service started at a young age. Serna remembers spending time volunteering with his church while growing up in a Hispanic Catholic family. He was accustomed to the idea throughout childhood and adolescence, but hadn’t really considered dedicating a year of his life to service until graduation began to approach. His understanding of career paths before then had been relatively narrow: traditional jobs like becoming a doctor, teacher or lawyer. Serna knew he wanted to do something worthwhile, he just didn’t know at the time how to translate these desires. Serna’s story echoes that of many of our past volunteers. During his search while still an undergrad studying Communications at St. Edward’s, he stumbled upon Catholic Volunteer Network’s Response Directory in the Campus Ministry office—using it as a resource to help him gather his information and narrow down his list of options. He ended up choosing and being accepted to the Holy Cross Associates program, where he worked as a job program assistant for a year. “I felt Holy Cross was a big connection to who I was spiritually,” Serna explains. He also liked the more intimate community formed by the program’s size and the location in Colorado. When the year ended, Serna did a two-year fellowship focused on leadership and service—helping the program develop and learning the inner-workings of the non-profit sector along the way. At the same time his fellowship started, Serna was also able to begin his Masters in Leadership and Public Service through a program through DePaul University. Now, as a campus minister for nearly a decade at St. Edward’s in Austin, Serna is not only closer to his family in San Antonio but also getting to work with students who are discerning much of the same questions he was at their age. A top resource? Catholic Volunteer Network’s Response Directory. The Response Directory, however, is just a tool to get students further along their discernment process. What Serna also wishes to express to his students is the power of volunteerism. “Volunteering is about others, but it’s also about finding out what’s right for you,” he explained. Throughout his own service commitment, Serna learned that the relationships created are reciprocal. You are impacting others as much as they are impacting you. 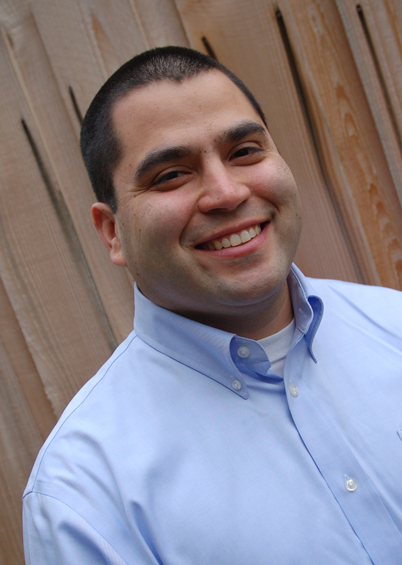 Serna passes what he’s learned through his own experience to his students at St. Edwards. He’s also incorporating it into Voluntology, a nonprofit he co-created that helps clients strengthen volunteer engagement by providing trainings, tools and solutions. Because he’s been in and surrounded by the volunteer world for most of his life, Serna understands that volunteers are a powerful force in our local communities that can make a lot of change happen. What’s crucial is supporting them in fun ways. “Only about 26 percent of the U.S. population volunteers,” he said. How do we increase this number? How do we keep volunteers supported and engaged? How do we change the notion of volunteering as a temporary thing? Serna and his team hope to work on these questions in the upcoming years. But as Voluntology grows, he can still be found answering questions, sharing his experiences and showing students how post-graduate service is good professionally in terms of networking, developing work skills and gaining life experience. Serna’s motto is “transformation through service.” He realized his place in a global world, made lifelong connections, gained developed work skills and discerned his career vocation as a result of the time spent serving with Holy Cross Associates. His life attests to his tagline—service transforms those serving, those being served and the world at large.